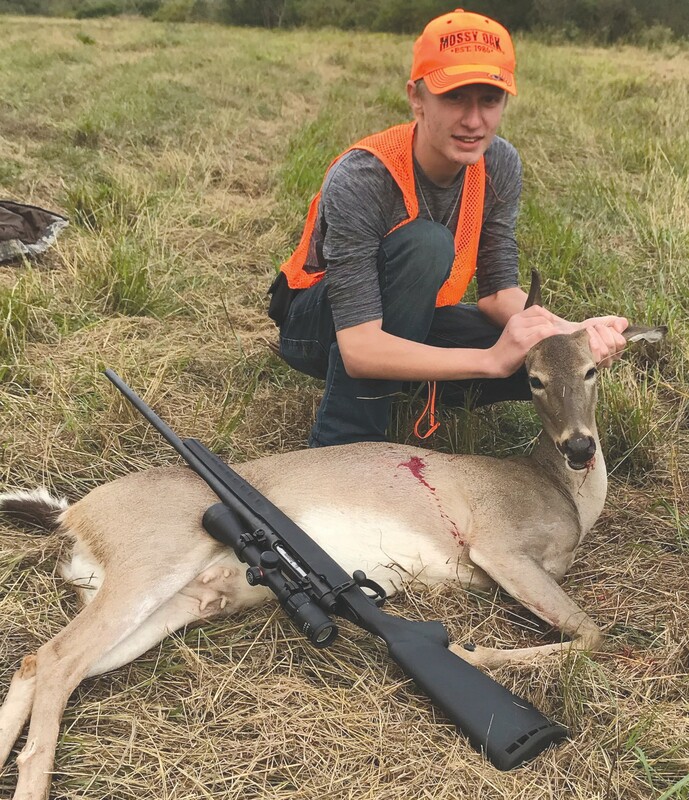 Fourteen-year-old Samuel Just killed a four-and-a-half-year-old doe in McMullen County on the James E. Daughtrey Wildlife Management Area on Nov. 10 with his uncle, Michael Just. Samuel shot it at 120 yards. The doe weighed in at 73 lbs field dressed.